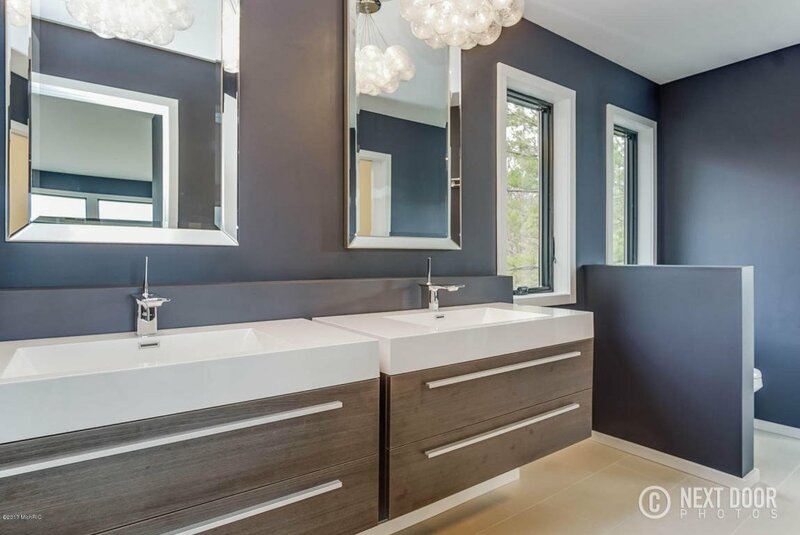 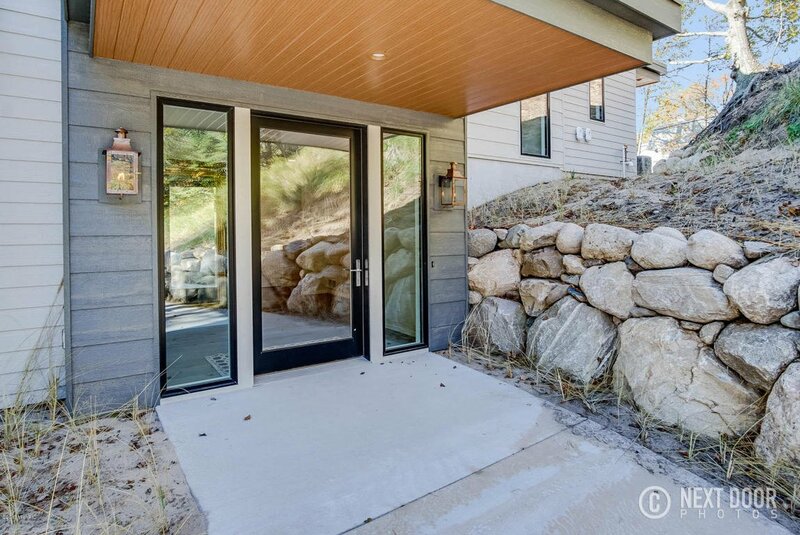 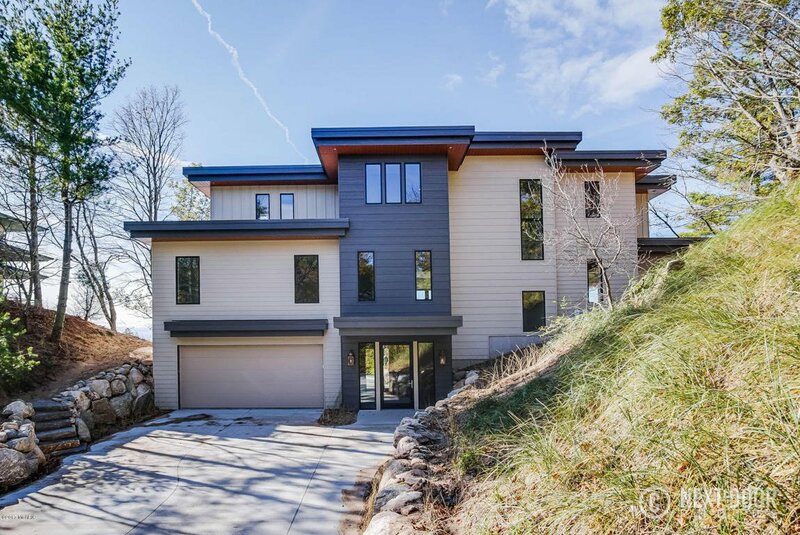 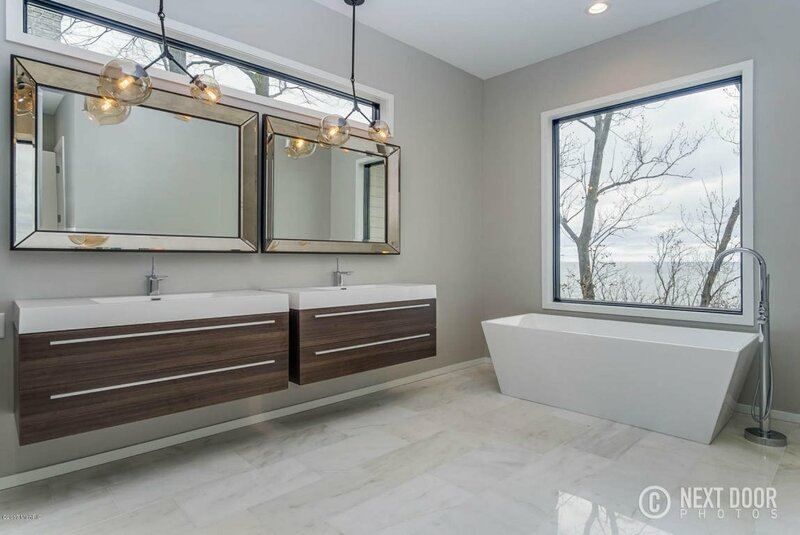 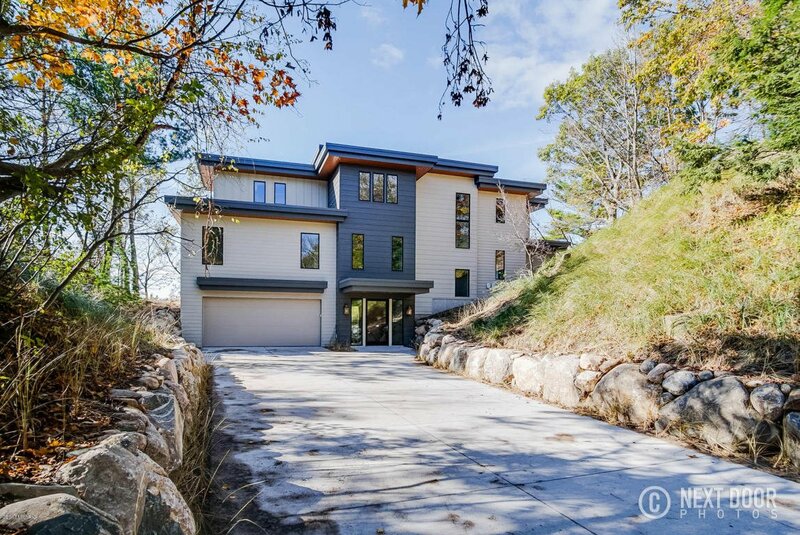 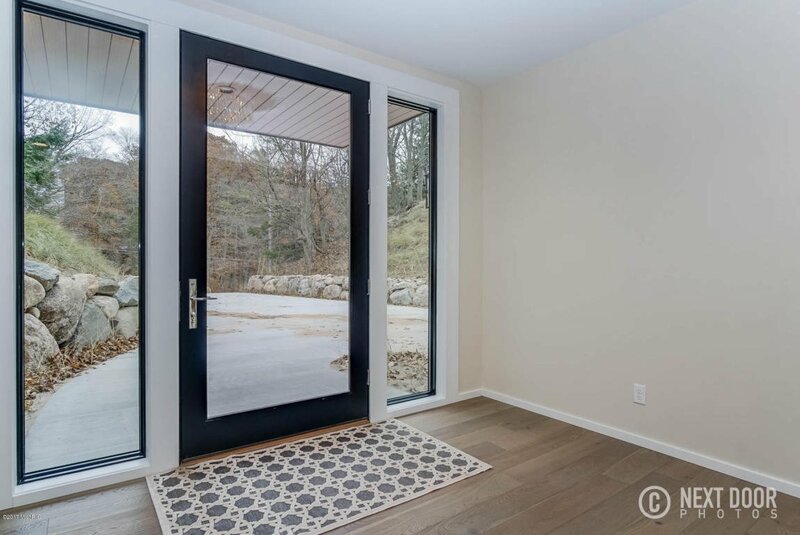 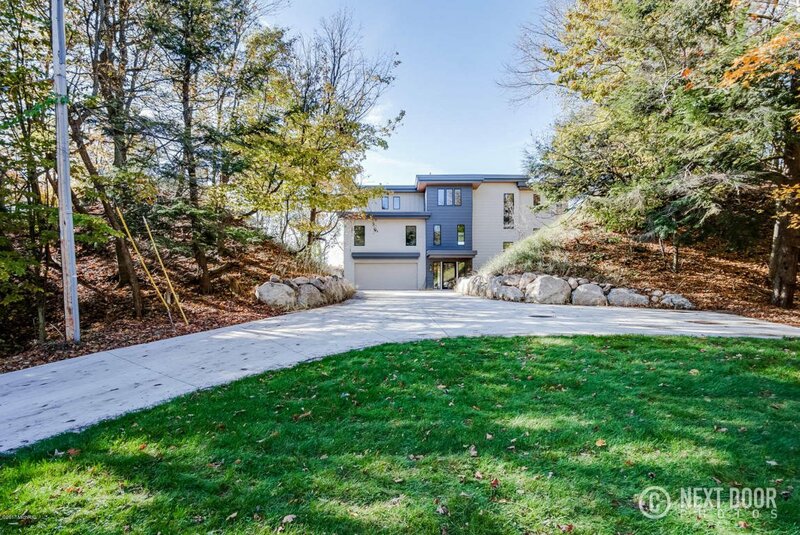 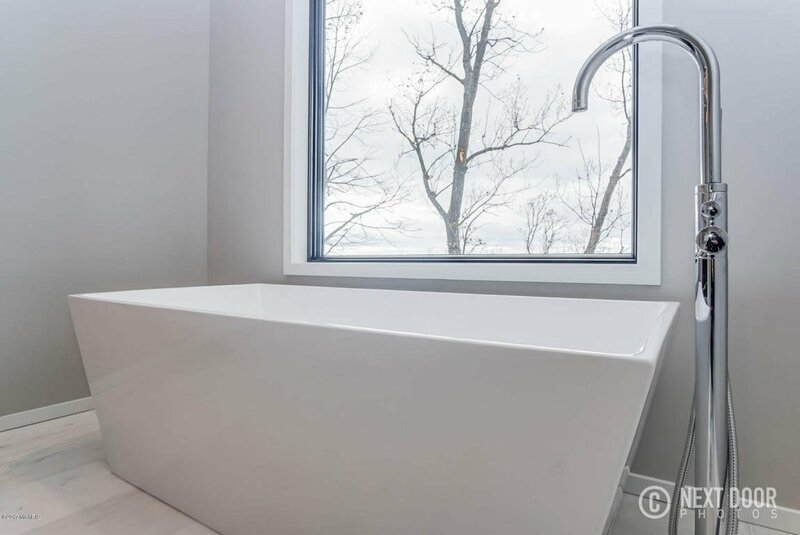 Breathtaking Contemporary style new construction on almost an acre of land. 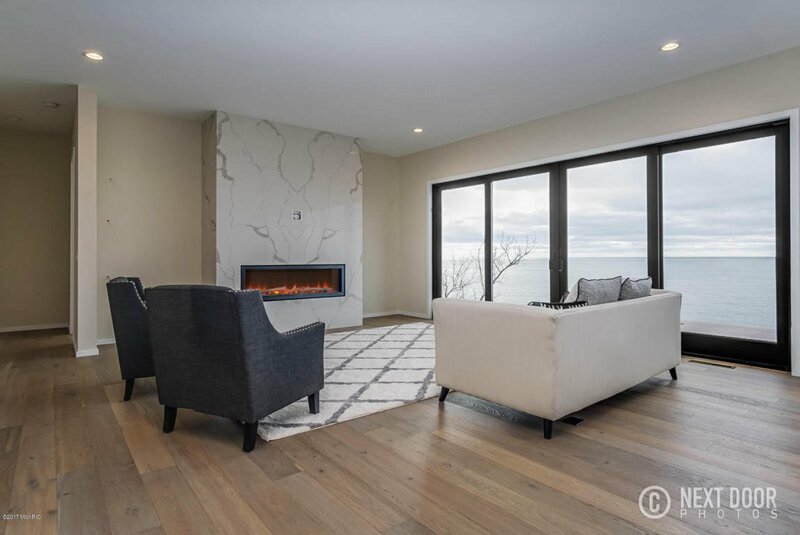 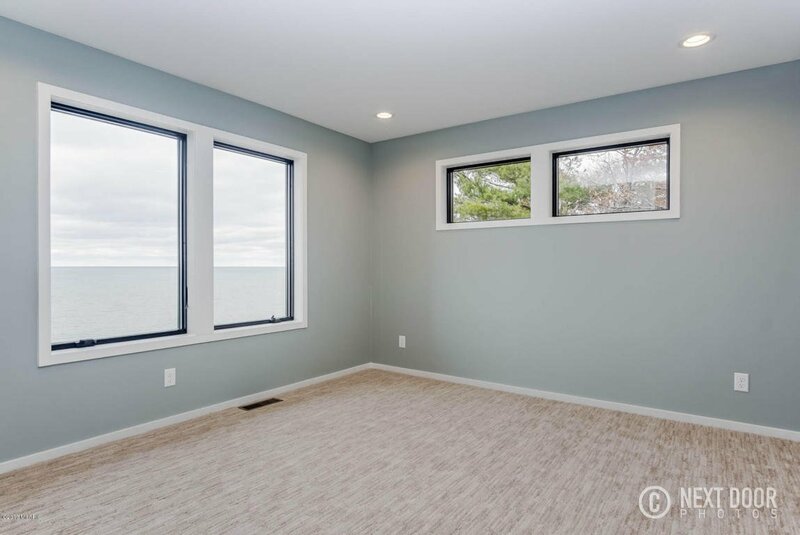 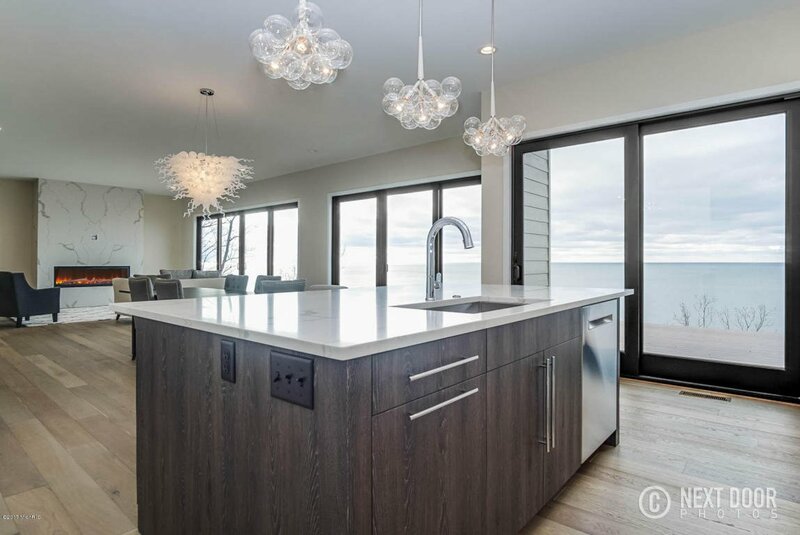 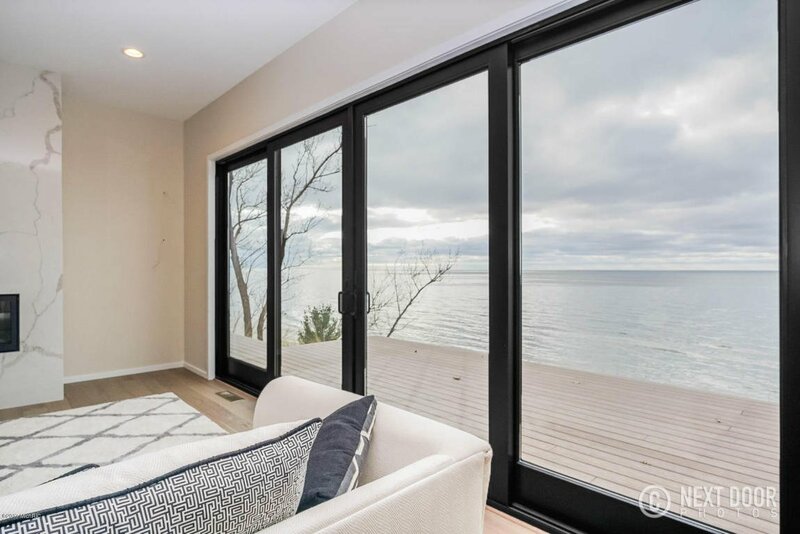 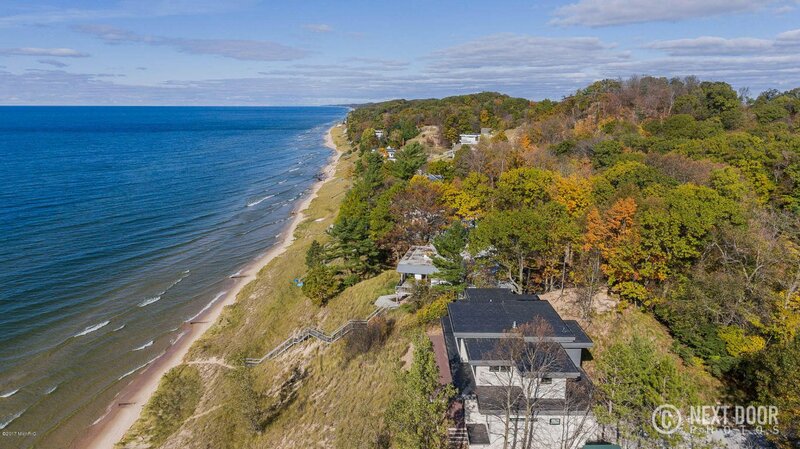 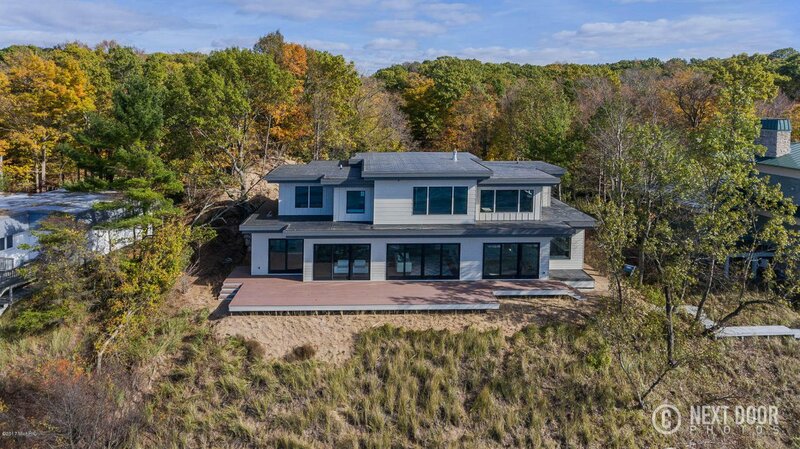 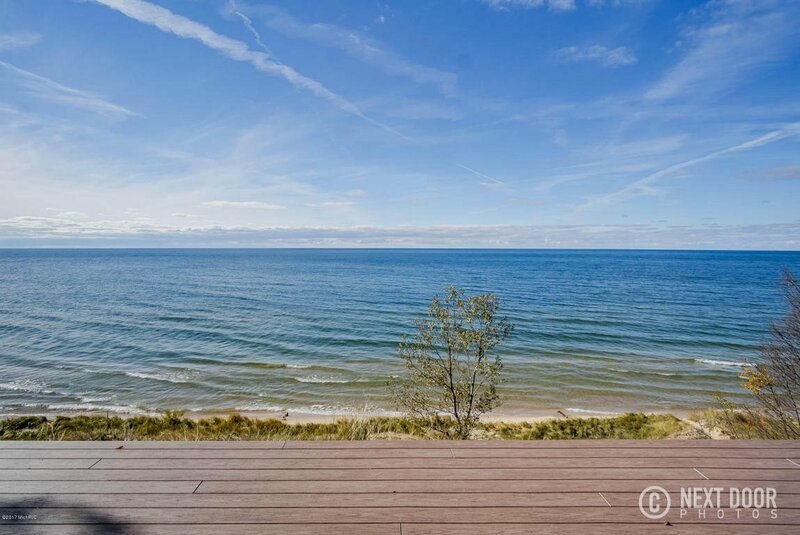 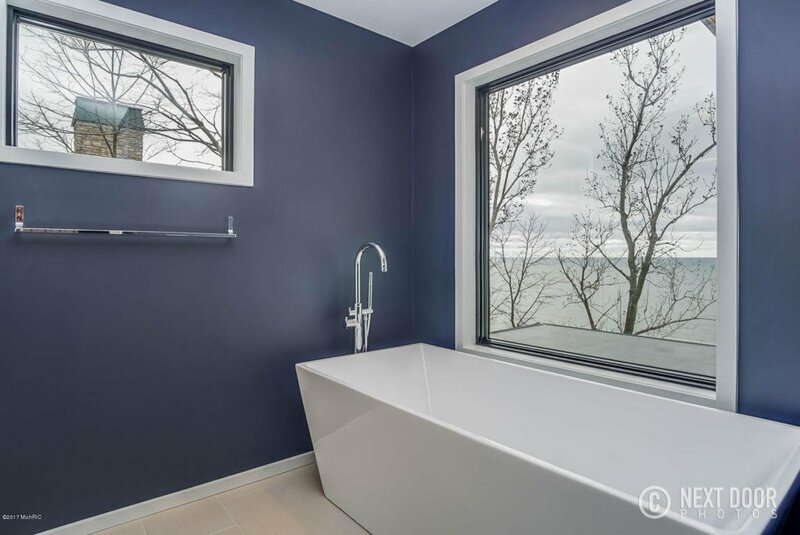 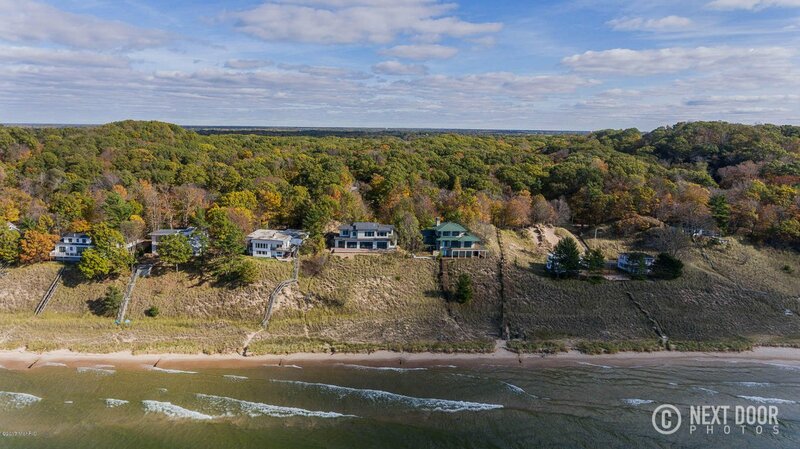 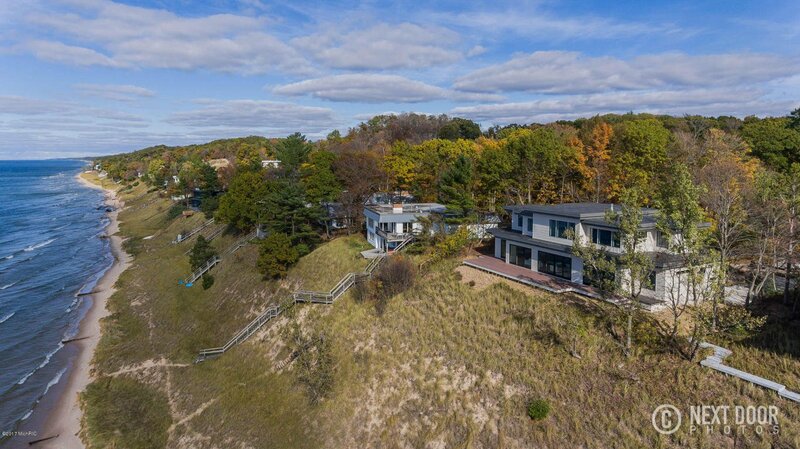 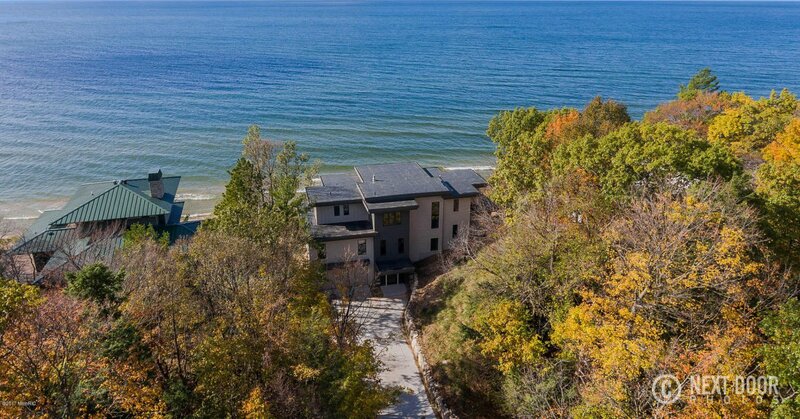 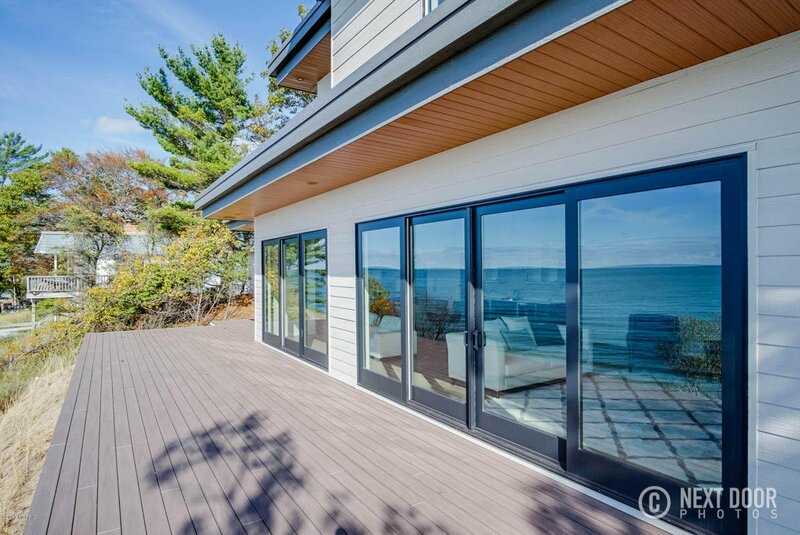 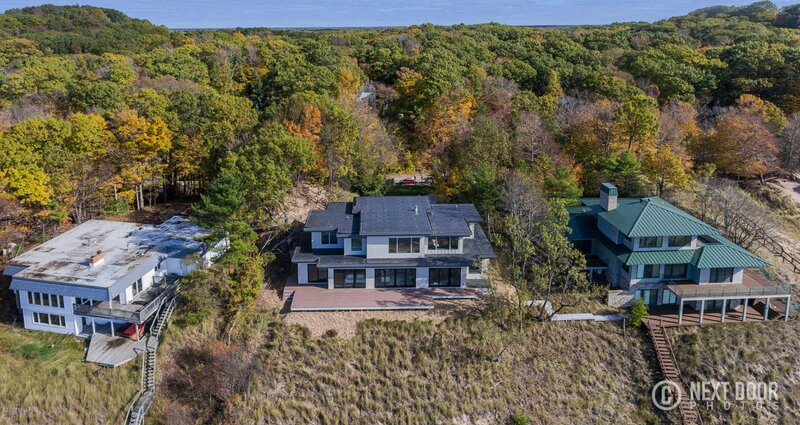 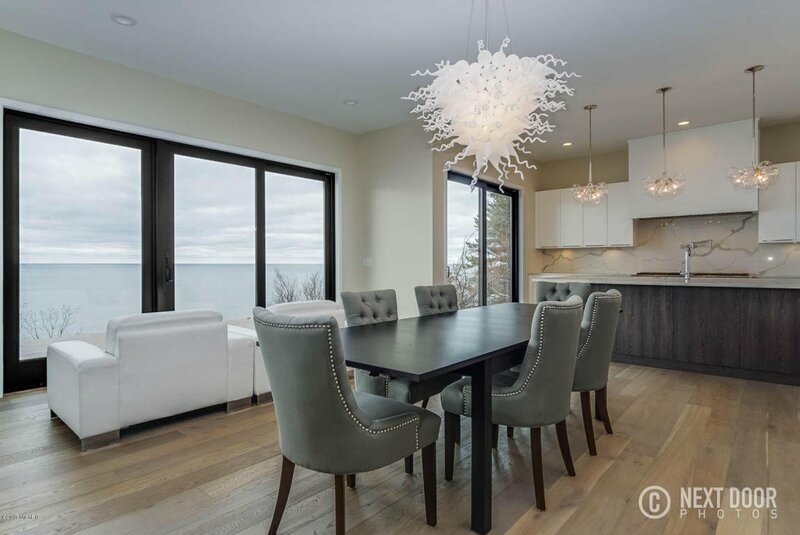 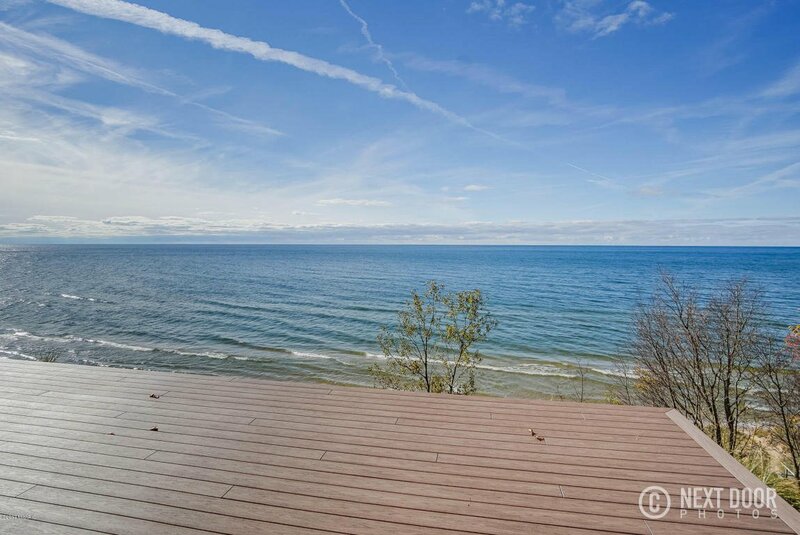 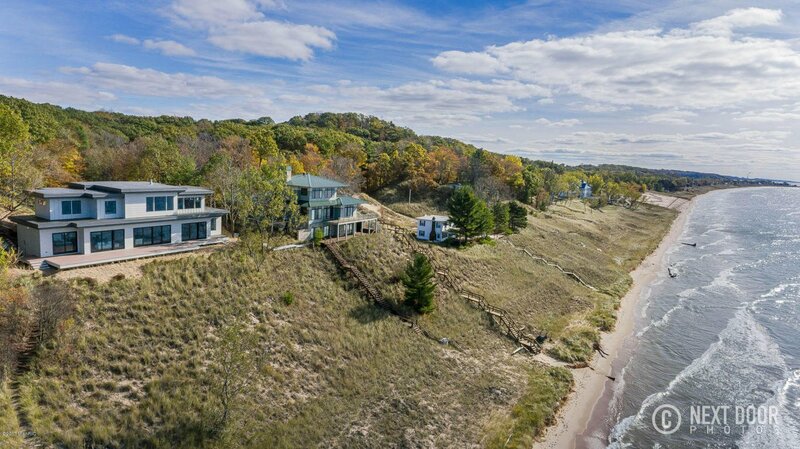 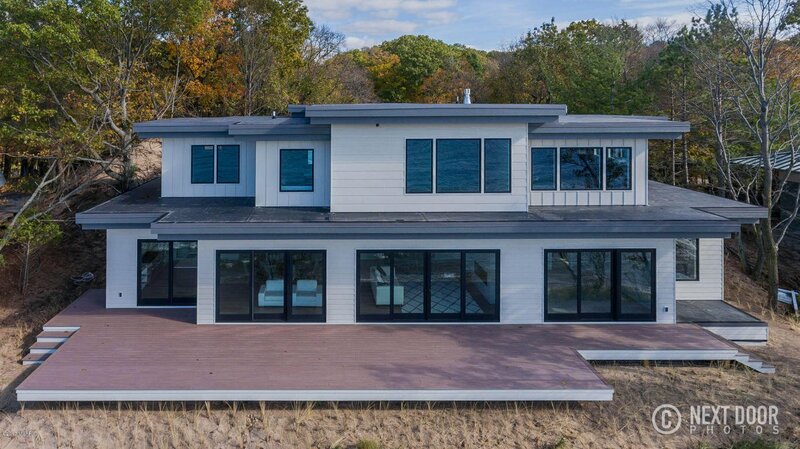 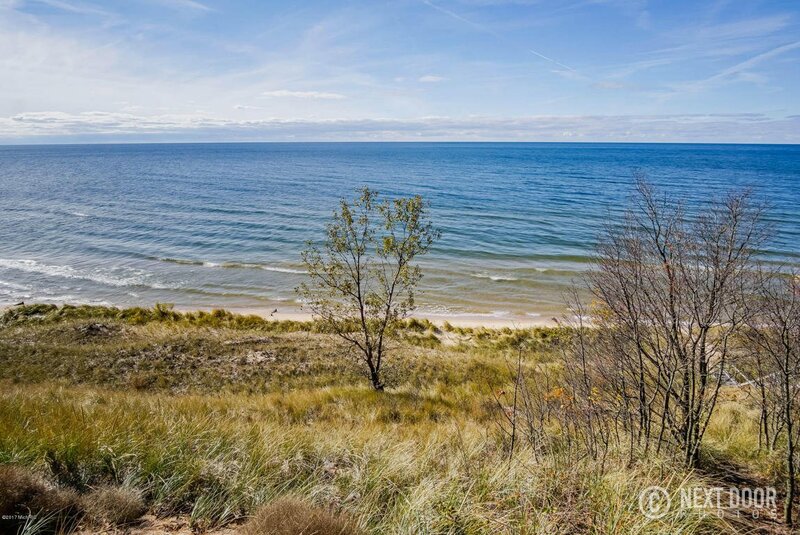 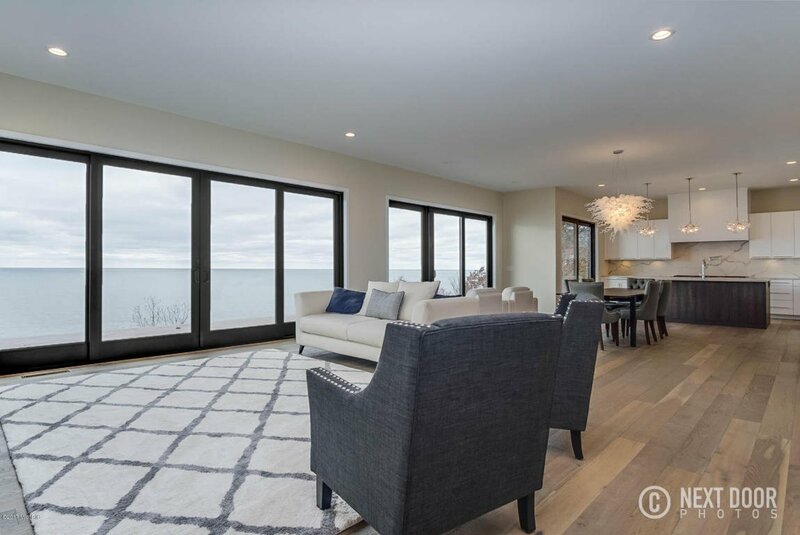 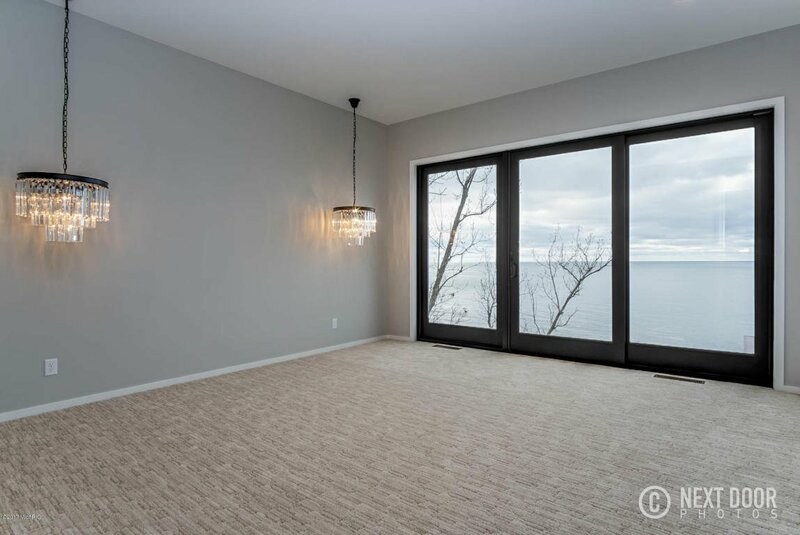 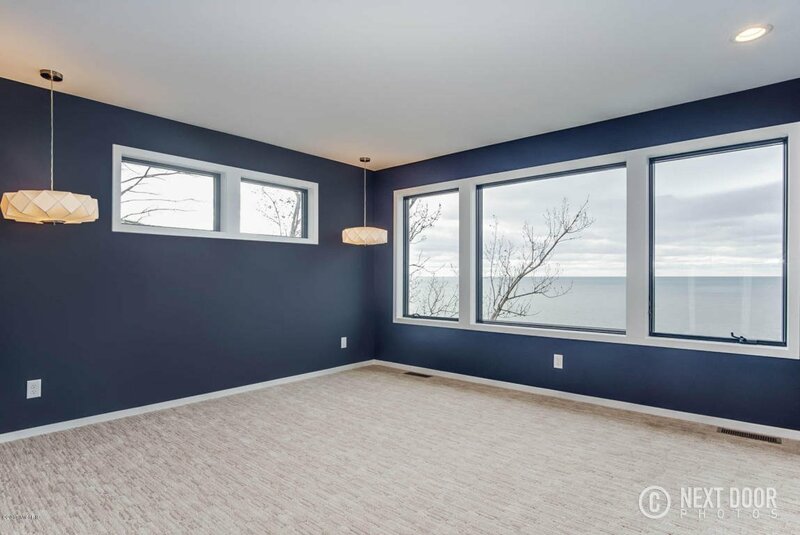 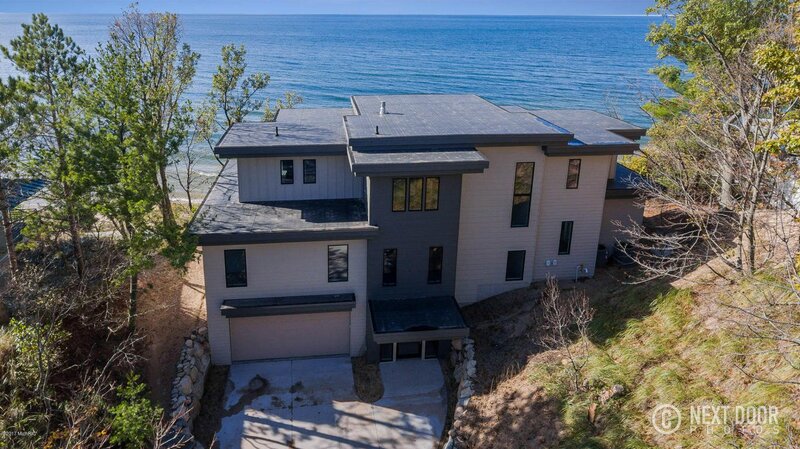 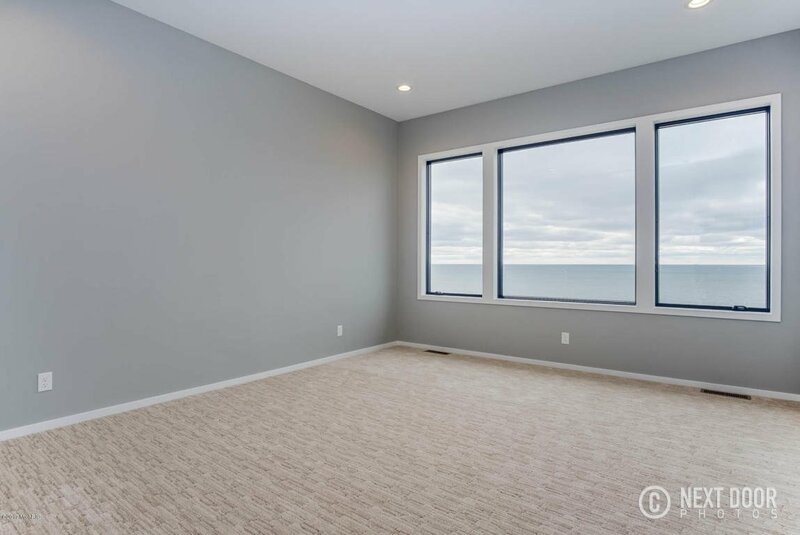 Home overlooks Lake Michigan w/ 107 ft of water frontage in the exclusive North Shore Estates community. 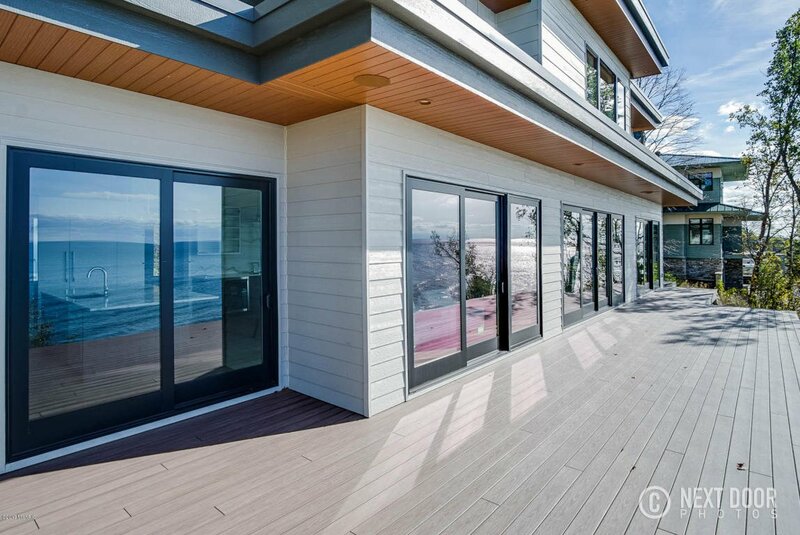 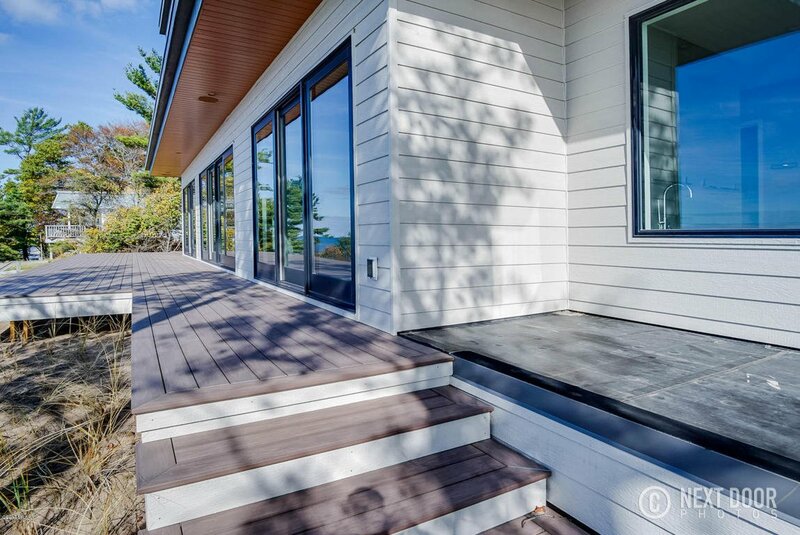 This custom design by Architect Norman Dodds boasts commanding panoramic views the moment you enter, w/ large deck to enjoy sunsets. 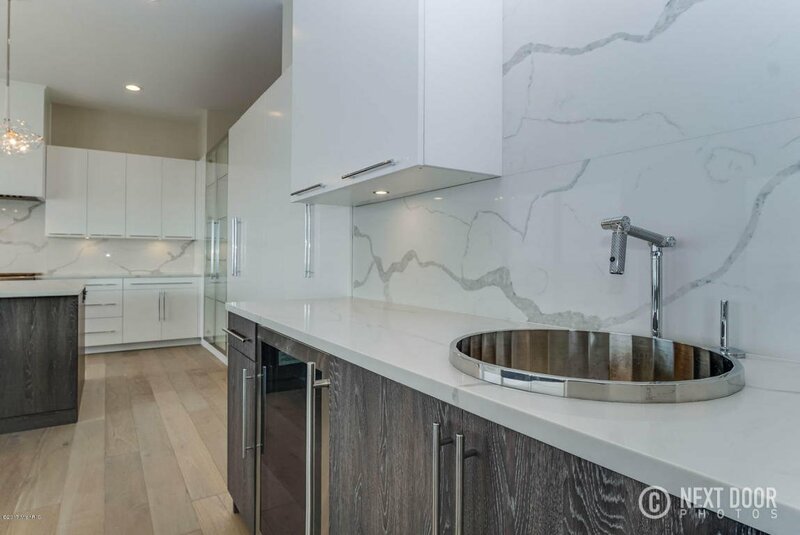 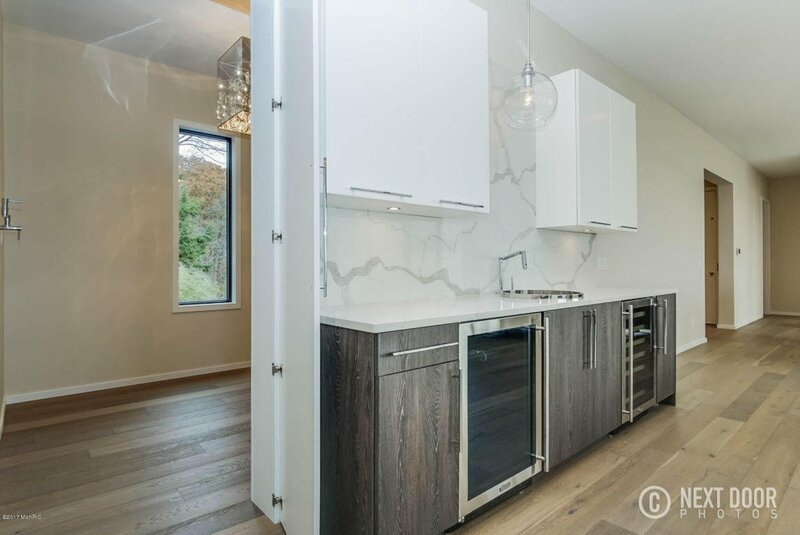 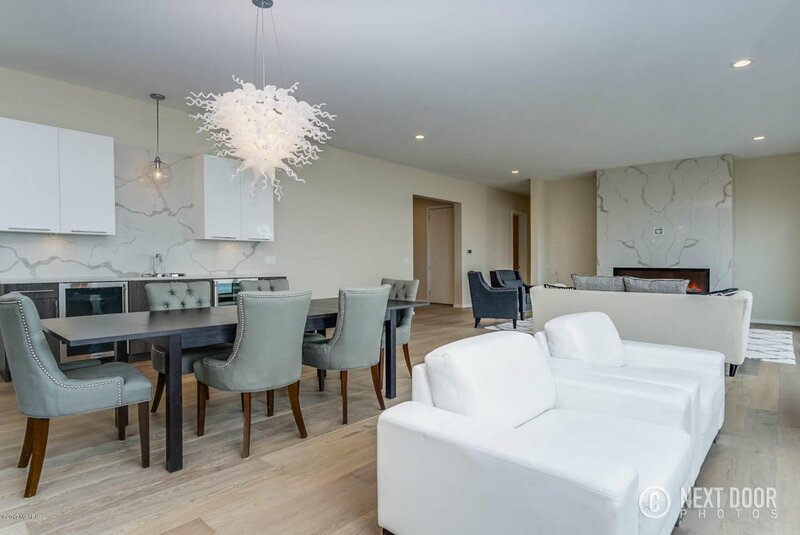 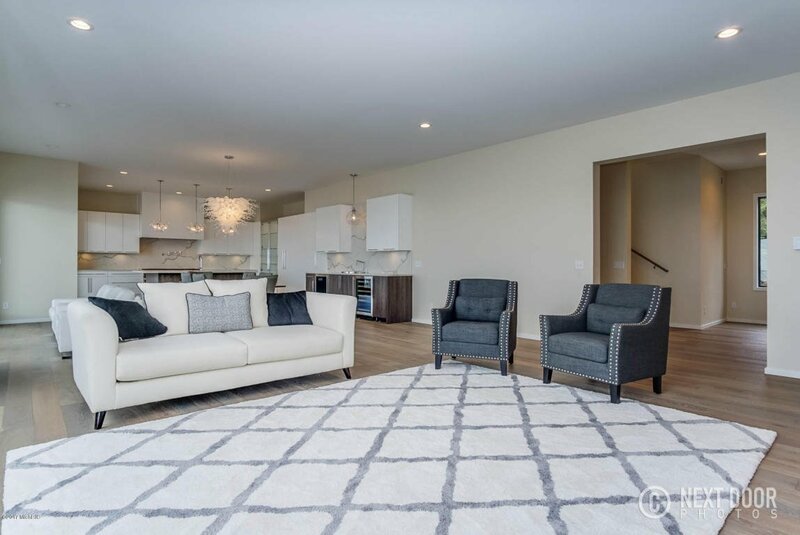 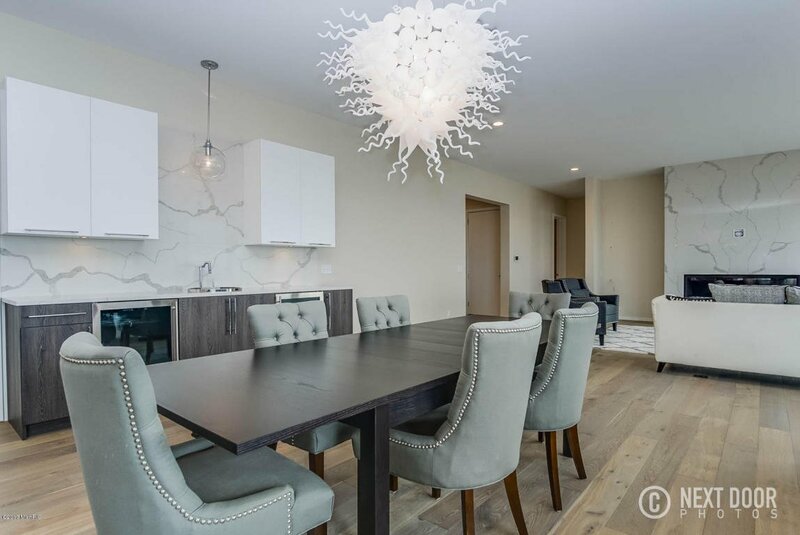 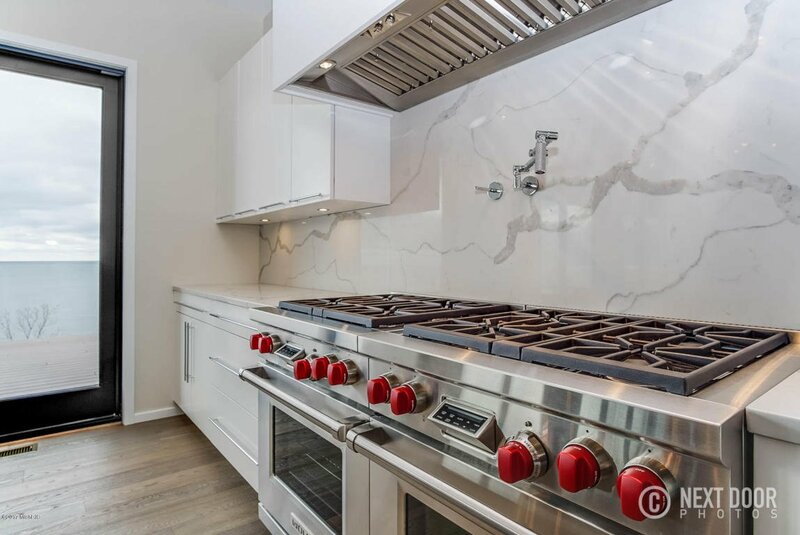 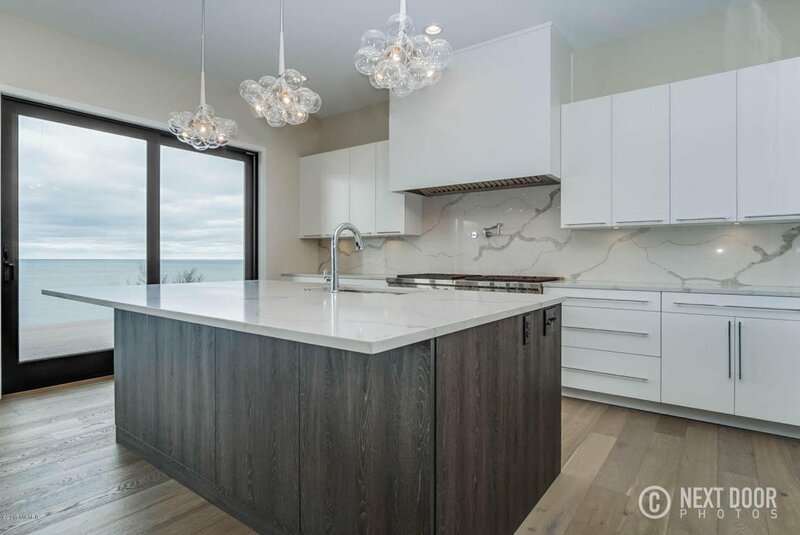 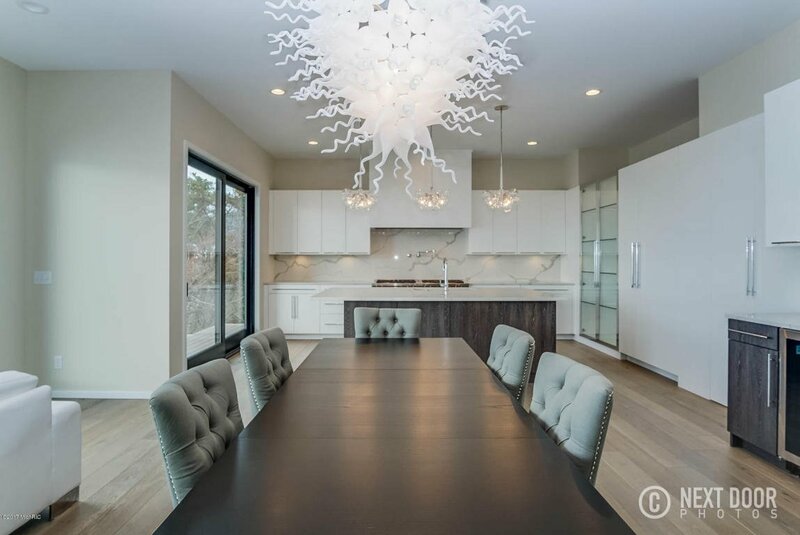 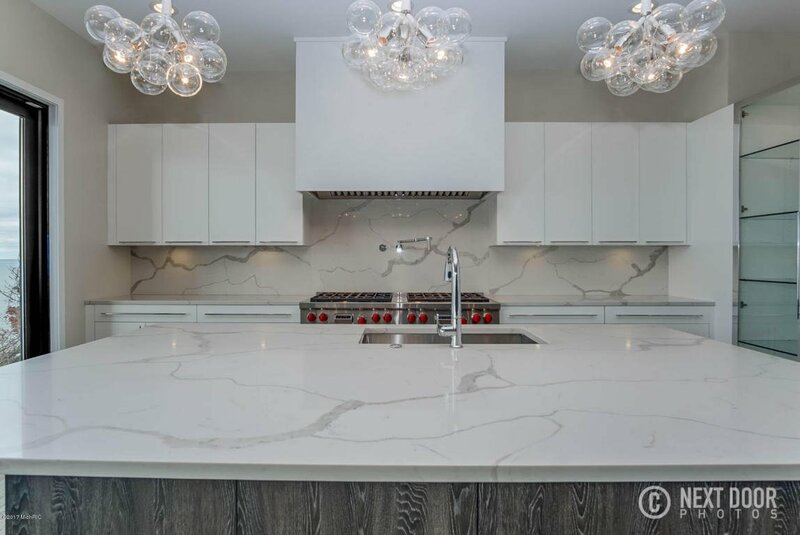 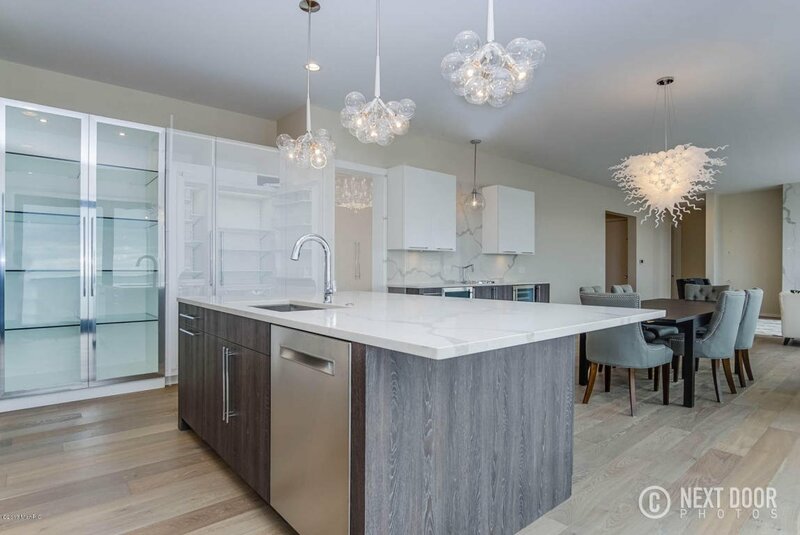 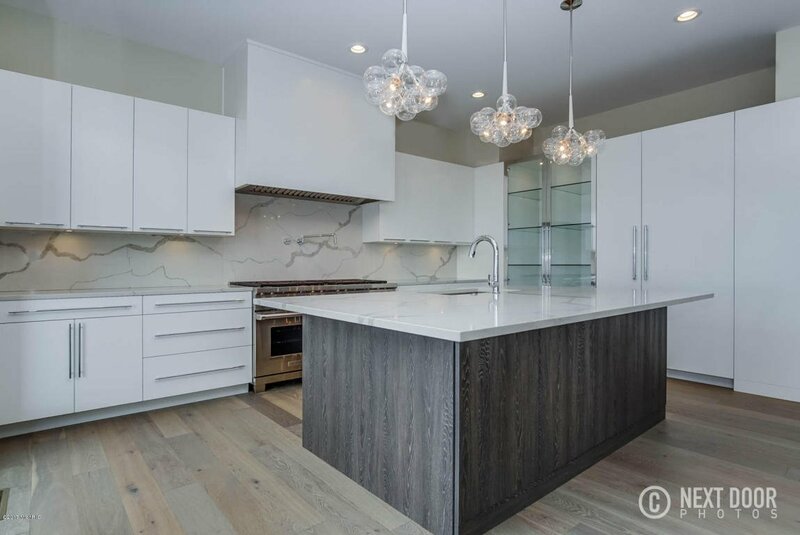 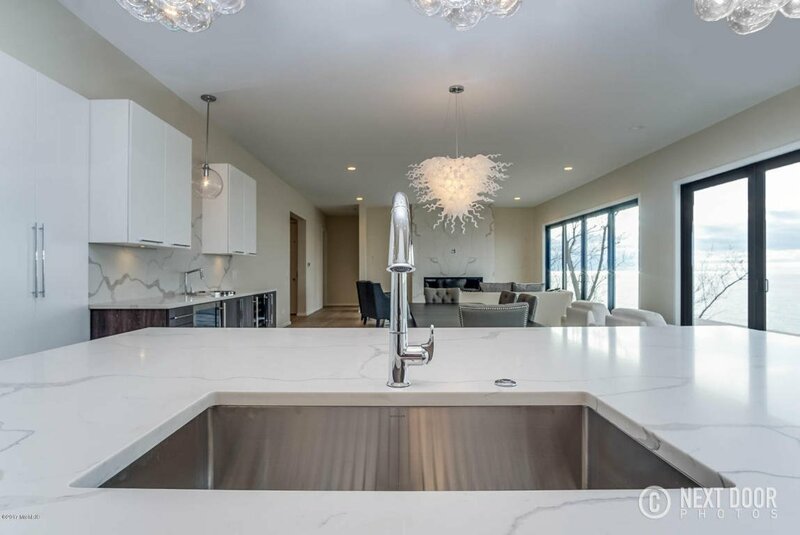 Custom features include an elevator servicing all 3 levels, Andersen windows, extravagant main floor master, hardwood & tile flooring throughout, gourmet kitchen w/ subzero & wolf appliances, large pantry, wet bar w/ wine cooler, & ice maker. 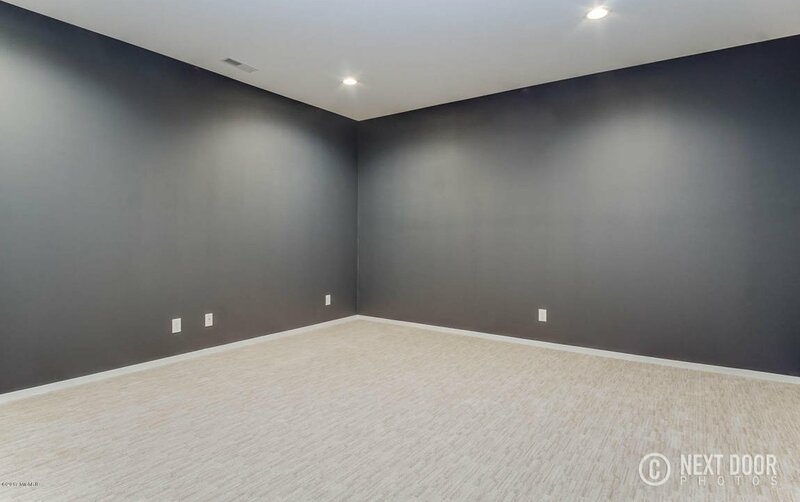 Lower area offers a TV room, game area, wet bar, access to 3 stall garage, & walk out entrance. 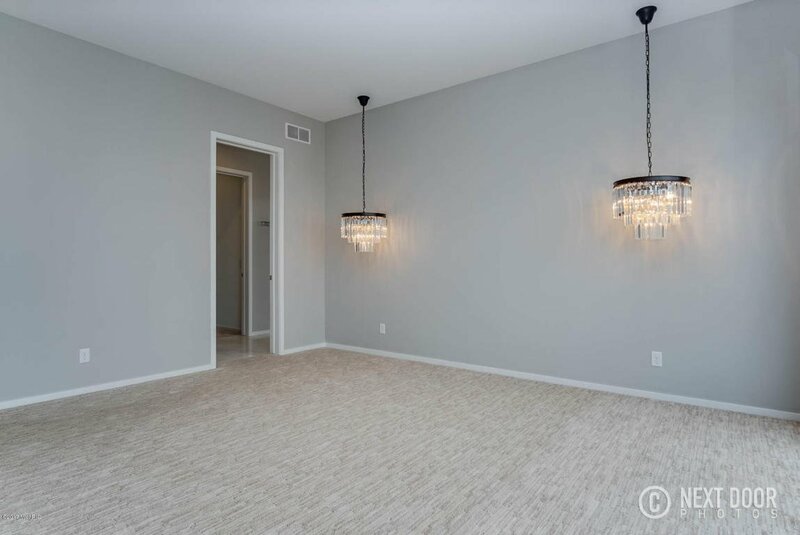 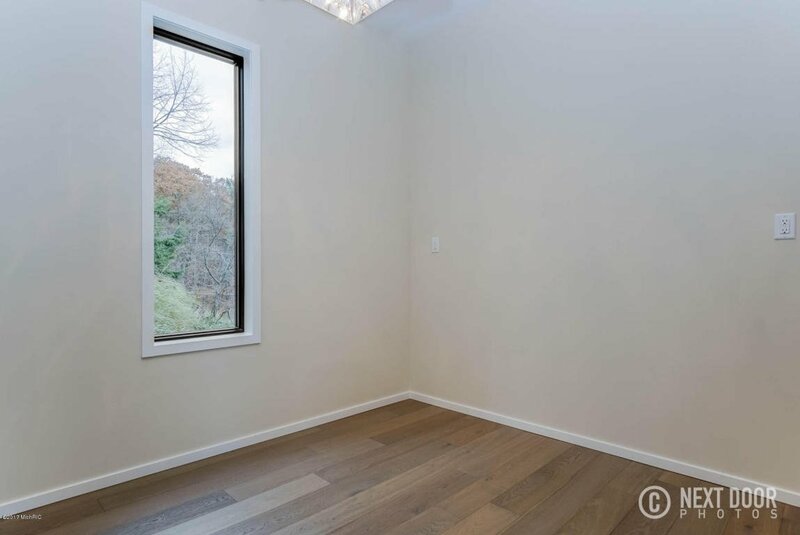 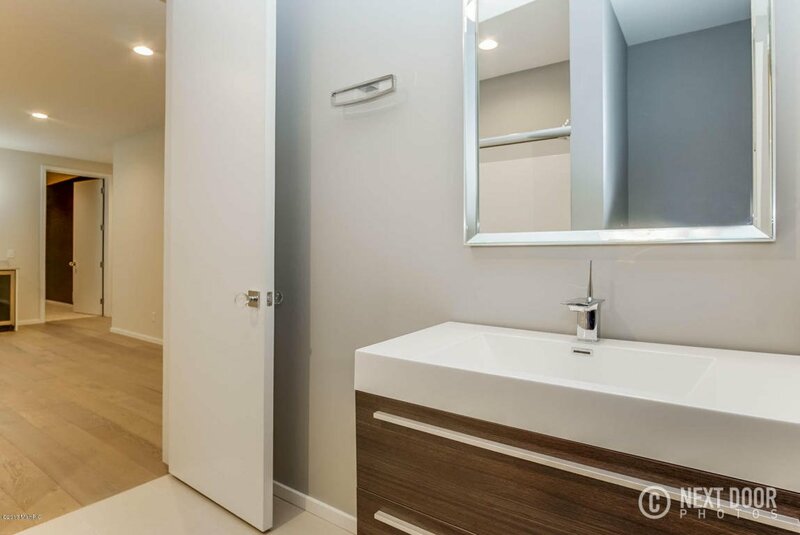 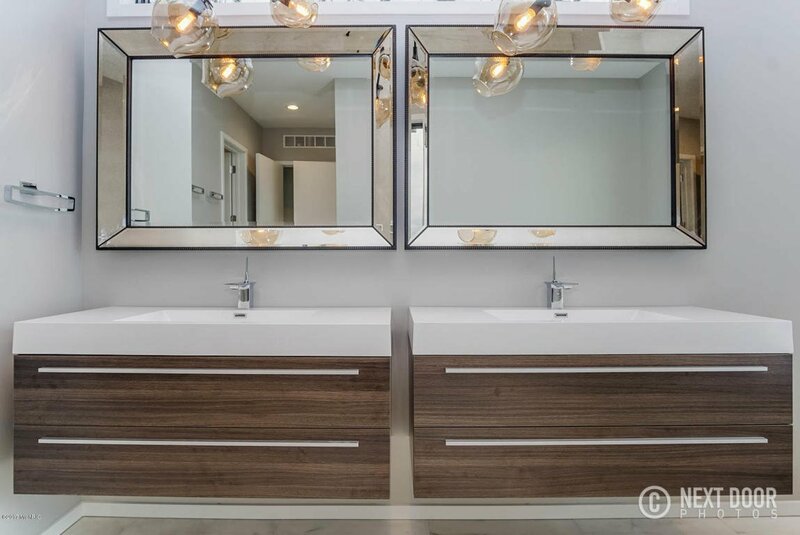 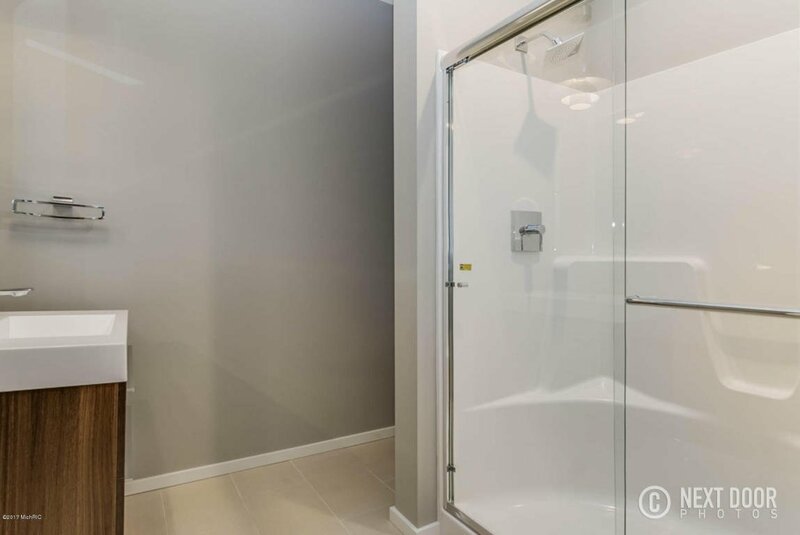 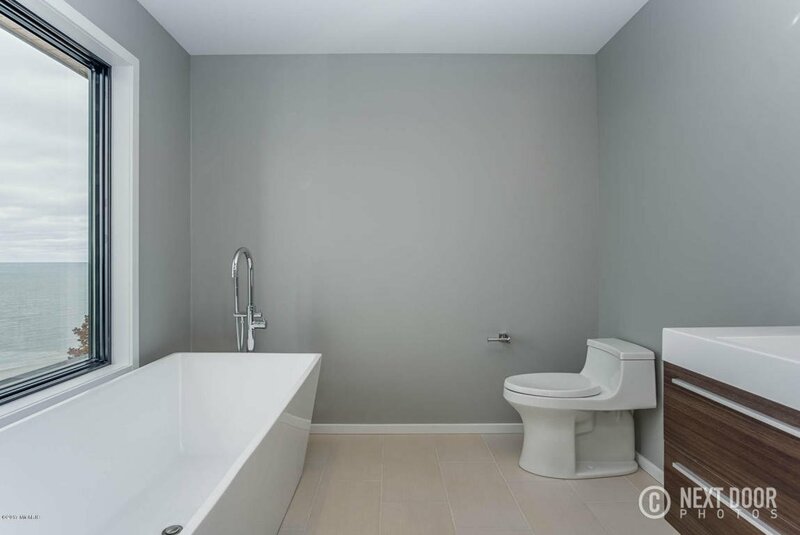 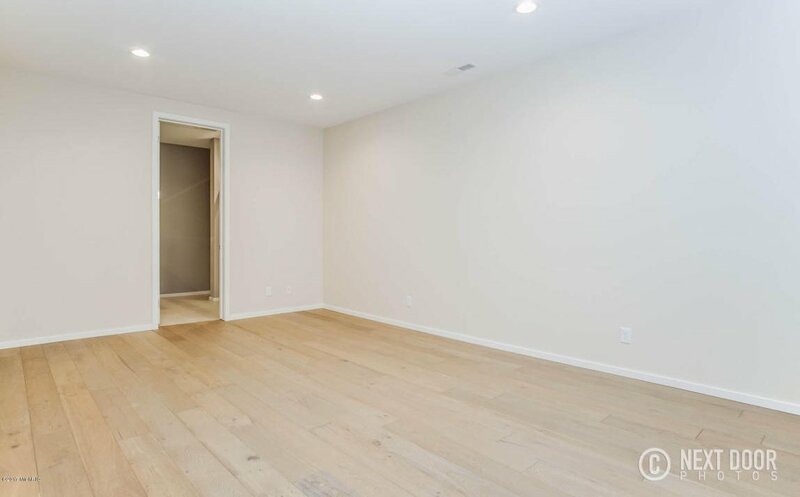 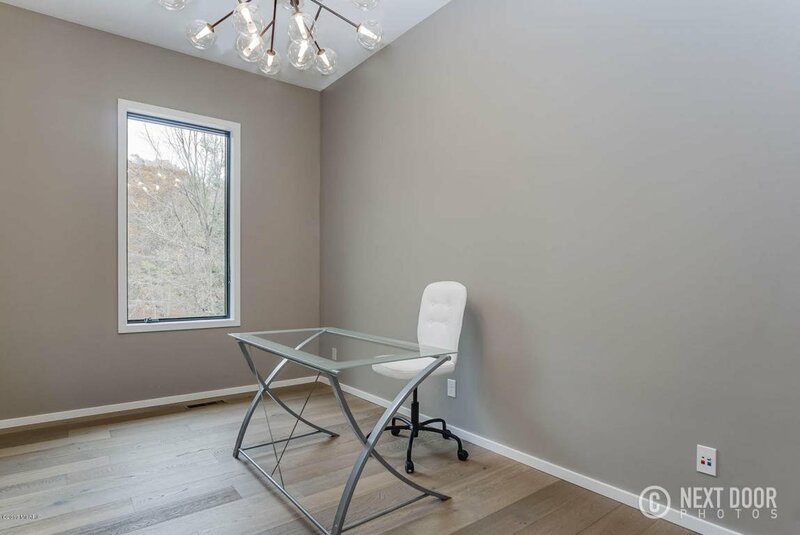 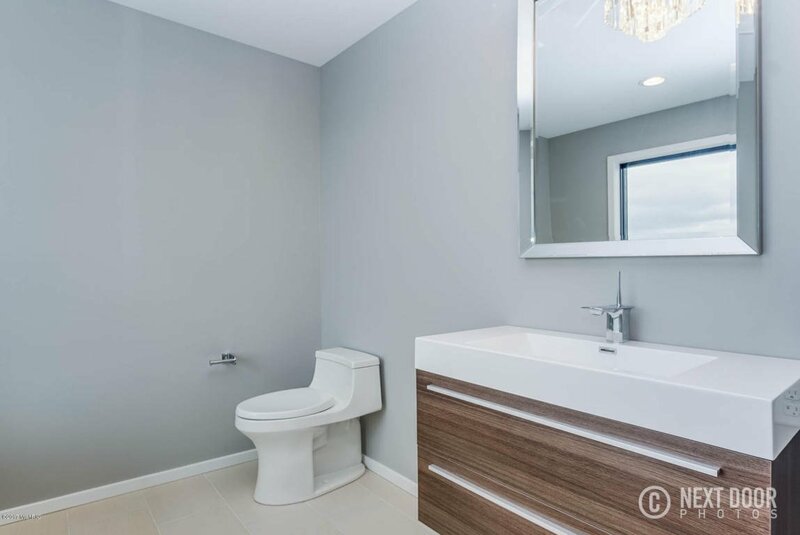 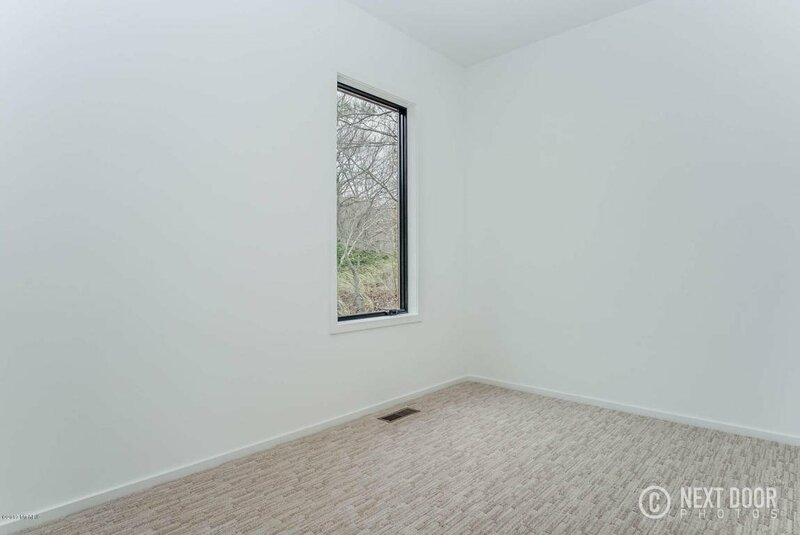 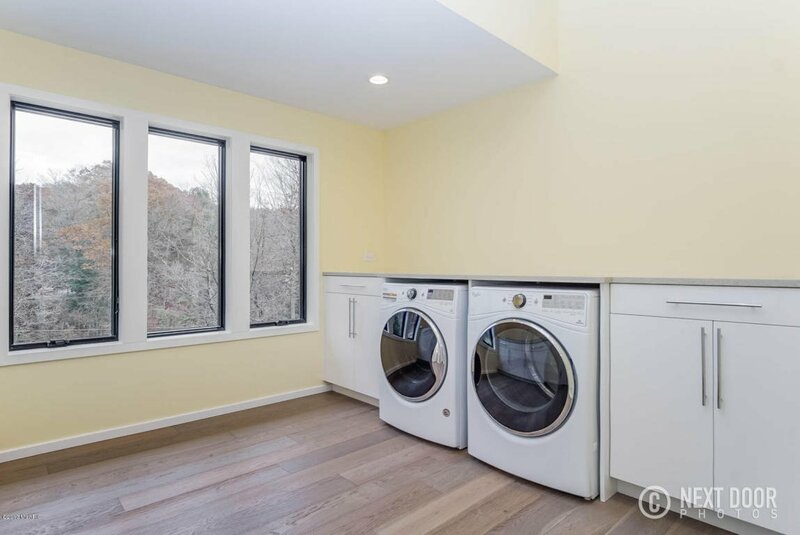 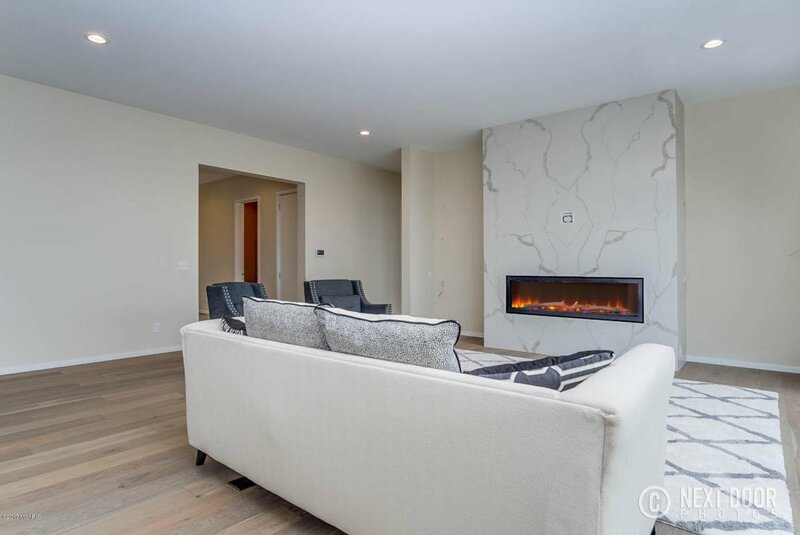 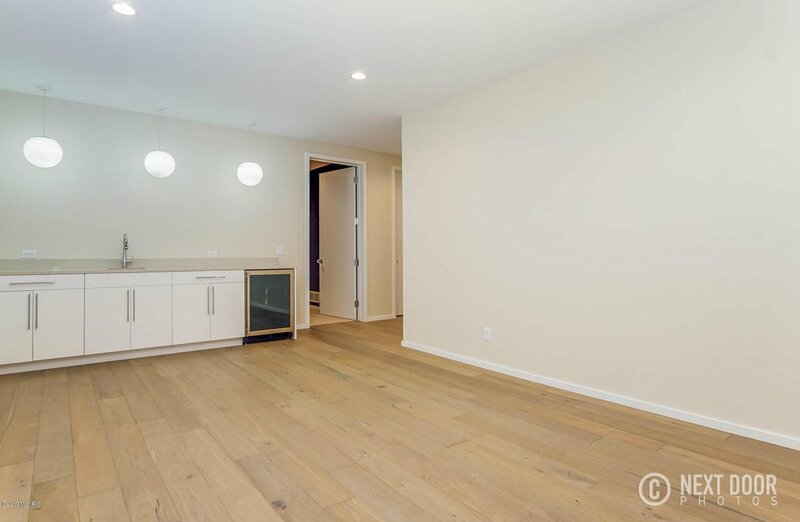 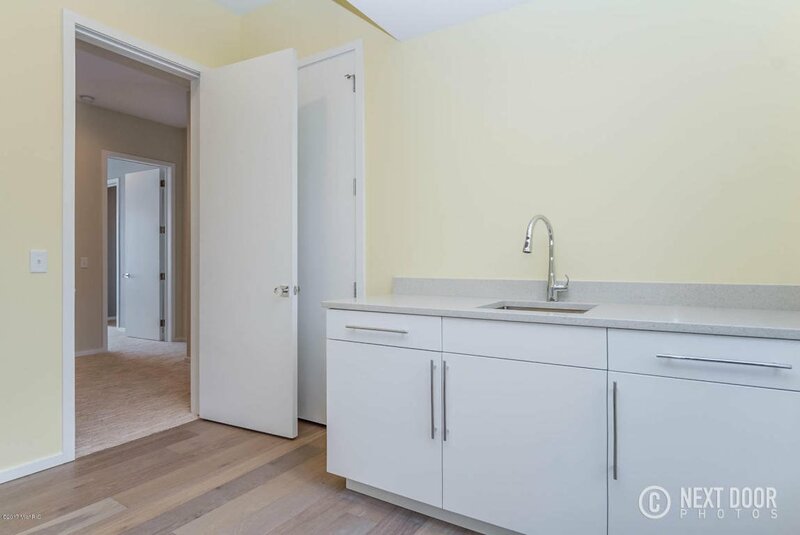 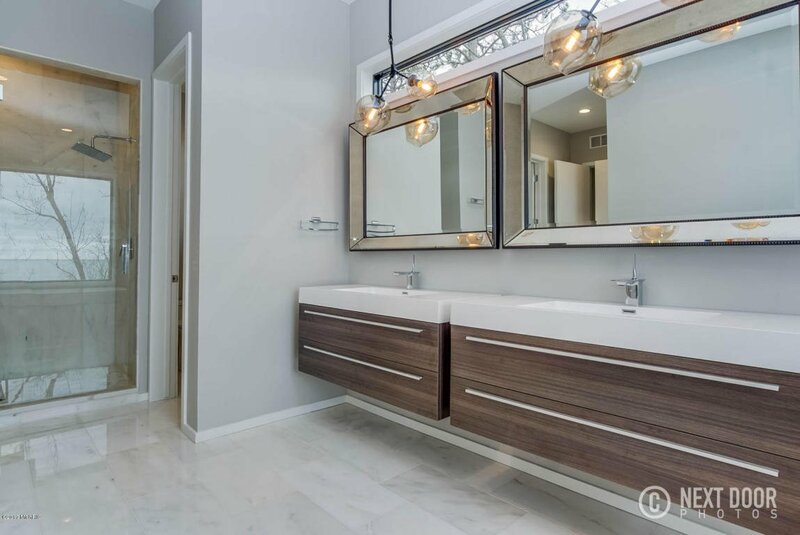 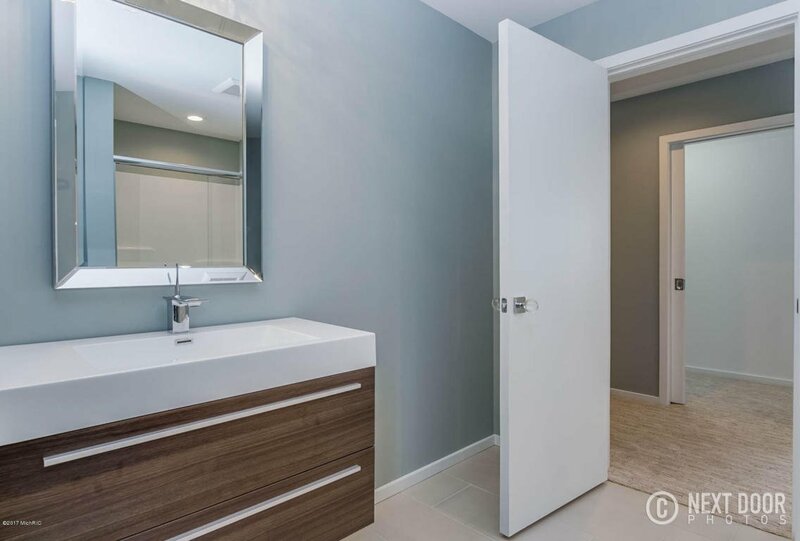 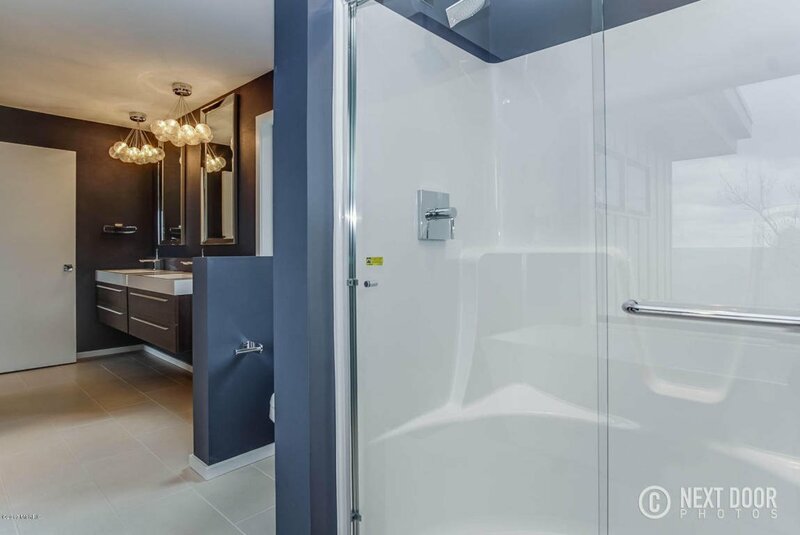 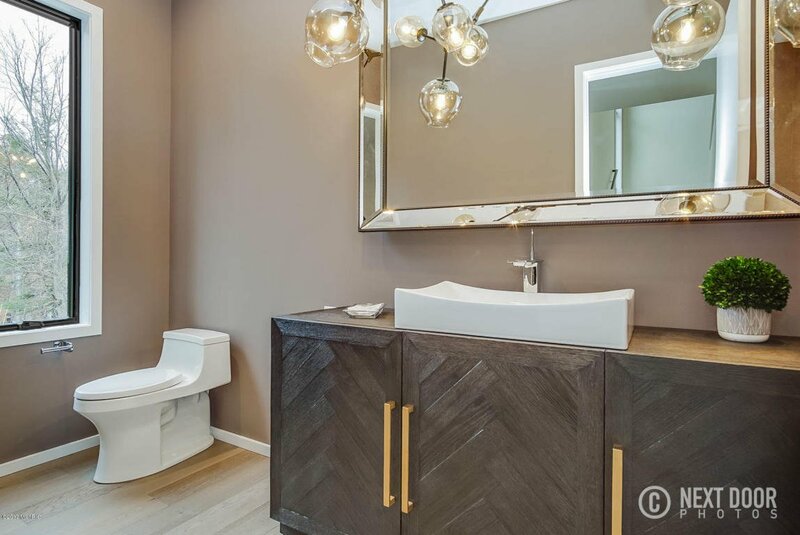 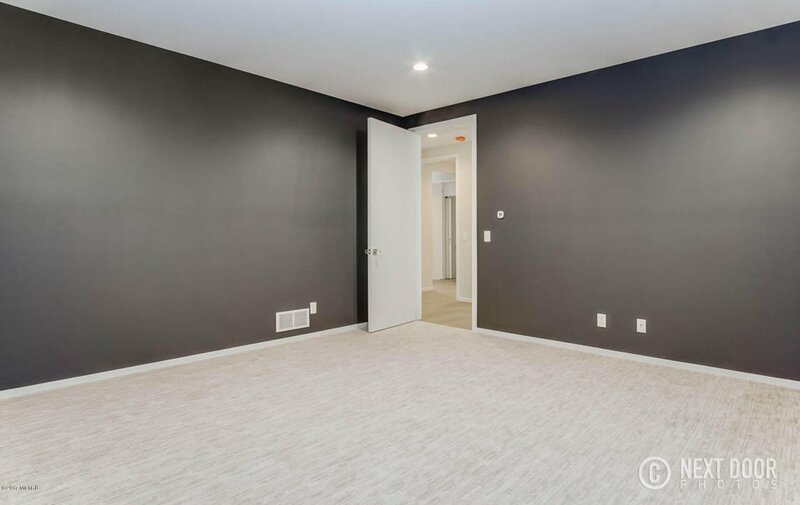 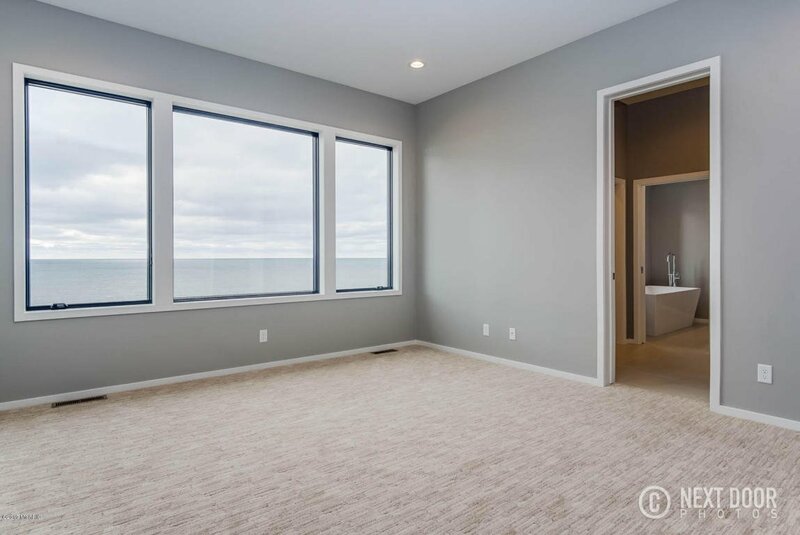 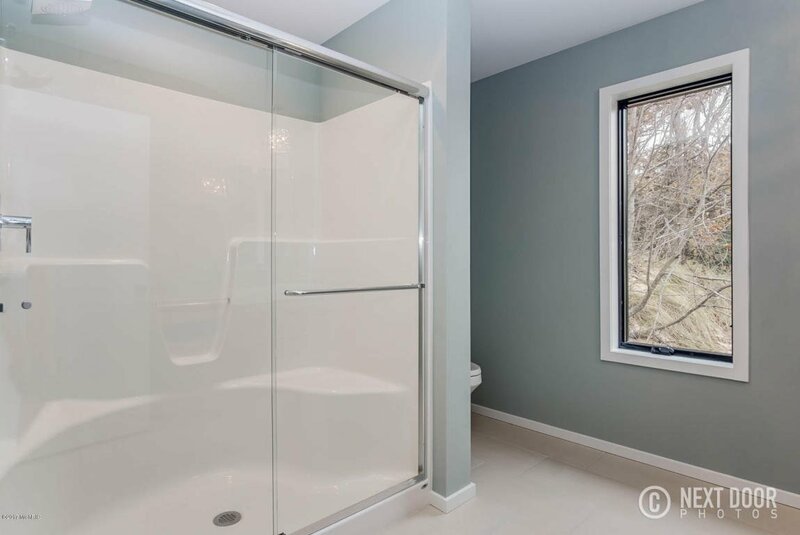 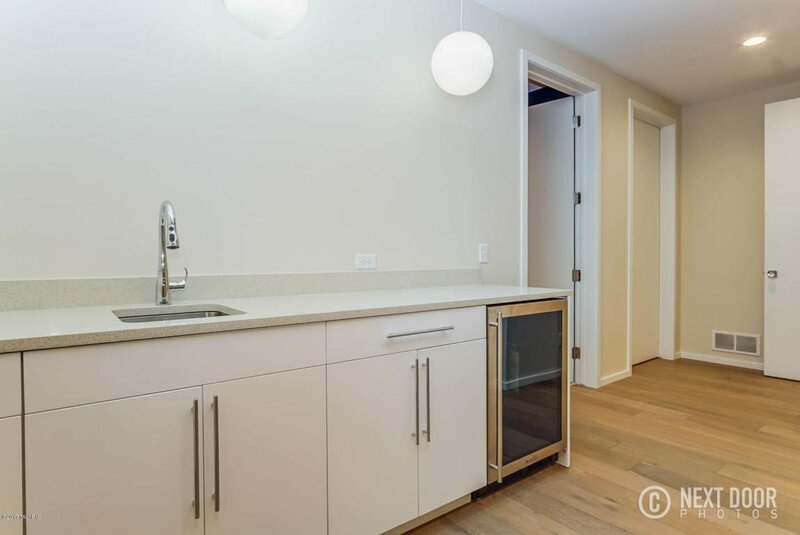 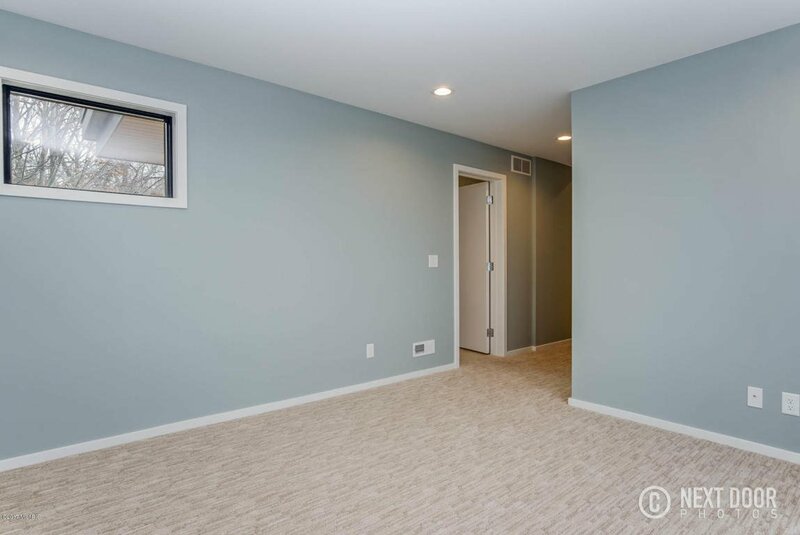 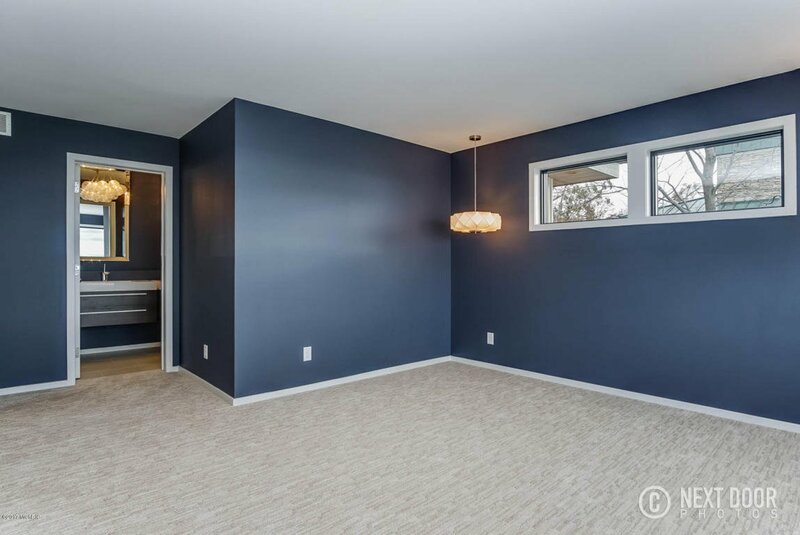 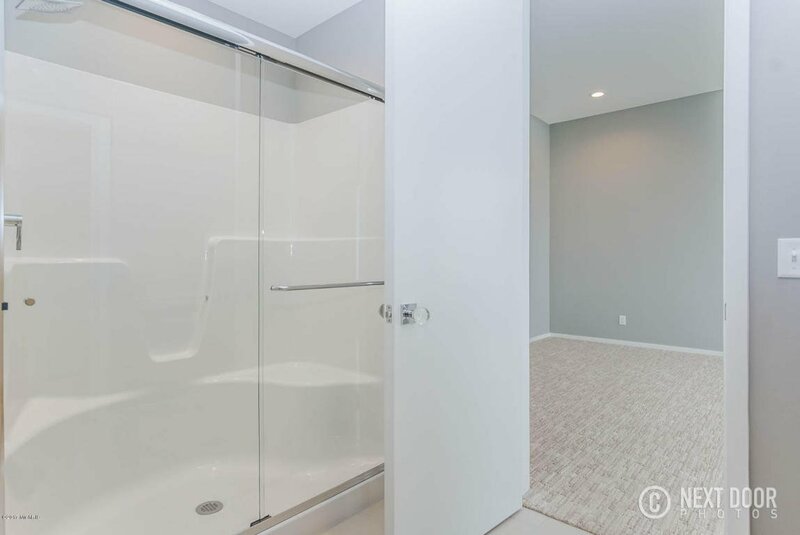 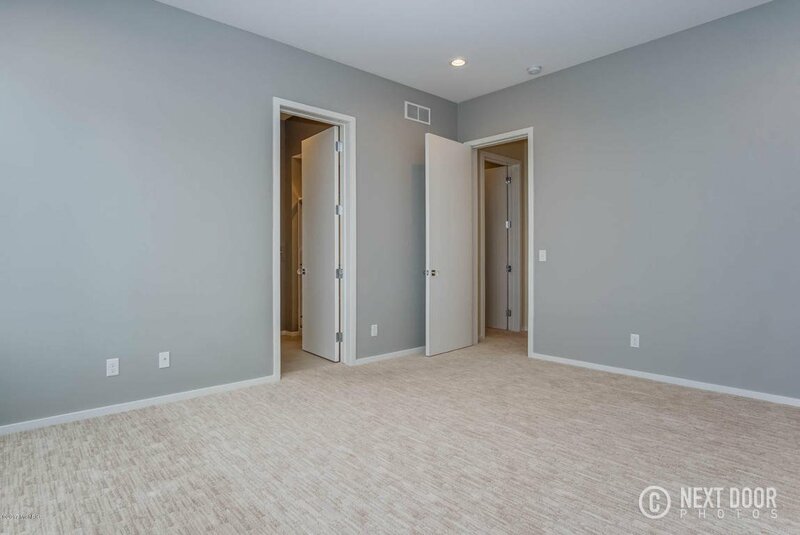 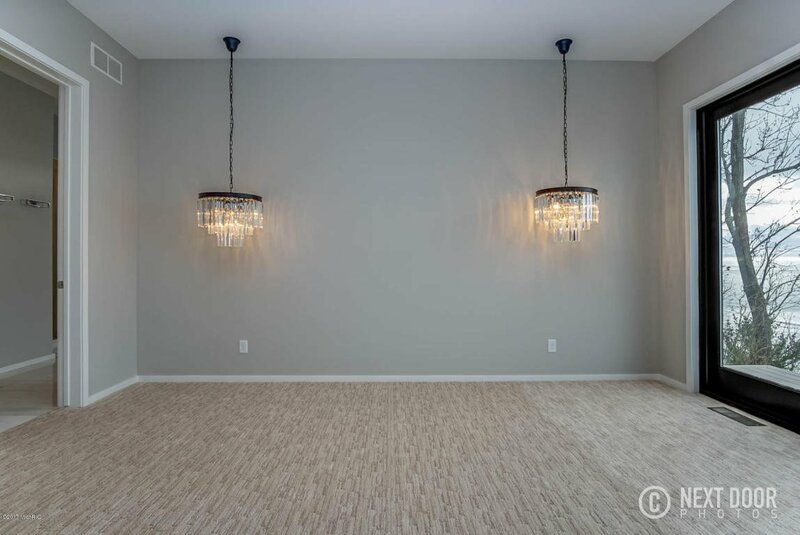 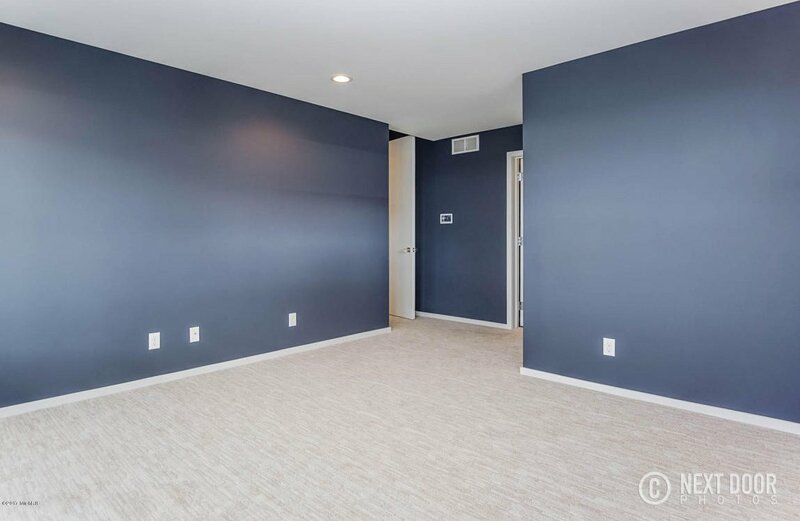 On the 3rd floor you find 3 additional suites w/ walk in closets & private baths. 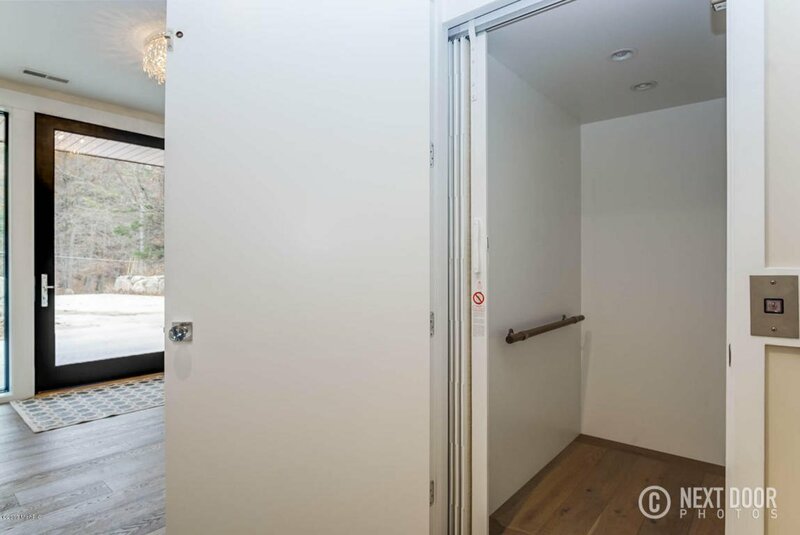 $10,000 pantry and walk-in closet allowance.